World renowned Canadian rock star Bryan Adams will be partnering with the ultimate “roadies” for his “Shine A Light” world tour in 2019. As the Official Logistics Partner, DHL will be managing transportation services for Byran and the band across some 20 plus countries in 2019. The global logistics leader will be commemorating its own debut on the business stage in 1969 by travelling the globe from Belfast to Australia and beyond with the superstar, whose prolific career includes megahits like “Summer of ’69” and “Run to You.” Adams will be promoting his fourteenth studio album, “Shine A Light,” to be released on March 1. 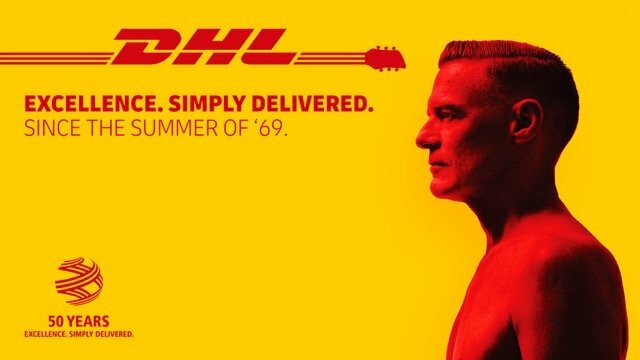 DHL and Bryan Adams are a natural fit for the partnership, as both share a strong passion for sustainability: Adams through environmental protection projects with the Bryan Adams Foundation and Deutsche Post DHL Group through its GoGreen environmental and climate protection program. In line with Deutsche Post DHL Group’s “Mission 2050: Zero Emissions,” DHL has agreed to plant one tree for every ticket sold. “Partnering with DHL has got a great environmental message, I hope this message becomes the standard of all partnerships such as this, as we humans need to take care of the planet as much as we can,” said Bryan. GRAMMY Award-winning singer/songwriter Bryan Adams will kick off the Shine A Light world tour on February 25 in Belfast, followed by an album release of the same name on March 1.